With most of us working from home or with kids who need a work station, a home office in a spare bedroom is the latest item in the wishlist of every home buyer up and down the country, but what if we don’t have a room to spare? Follow these interior decorating ideas and make the most of the space you have. a) Identify a working area: find a spot for your desk that doesn’t intrude into your living space. For example, a desk by the media unit may not be the most practical of places and if you do a lot of printing keep it away from the baby bedroom too. 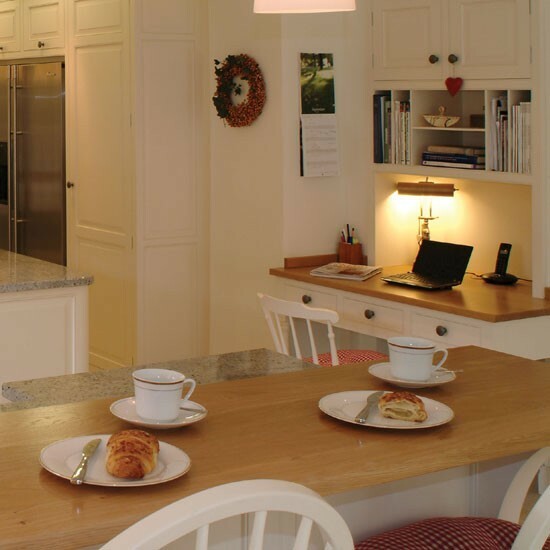 A house with kids might benefit from an office desk within your kitchen area that way you can keep a close eye on their homework, internet surfing and gaming! b) Decide who will be using it: think carefully about who you will be sharing the work space with. The kids and teenagers will typically need the work space after school or at weekends. Storage is vital, make sure you get plenty of dedicated storage for everyone so you don’t lose those all important presentation notes or the kid’s homework! You need everything close by BUT need to put it all away orderly at the end of the working day or the clutter will drive you insane. It’s also worth noting that those working form home, studying or using a desktop computer means larger working areas which leads us to the all important task of selecting home office furniture. c) Find the right furniture: Think compact, dual-purpose. 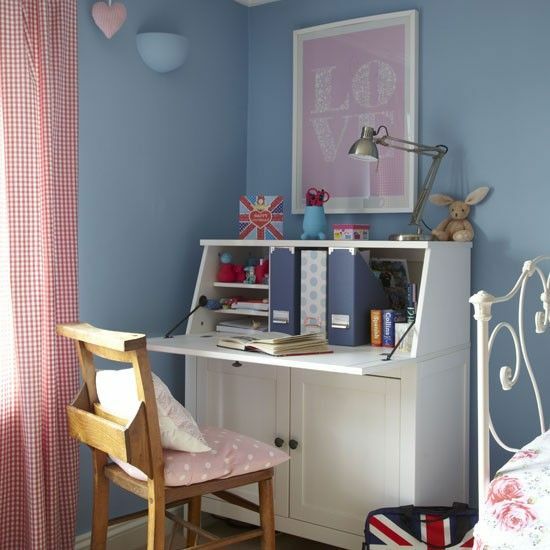 The market has plenty to offer in terms of flexible home office furniture with lots of space-saving pieces and foldaway desks (these can be painted in the same colour as the wall and you will hardly notice it’s there. 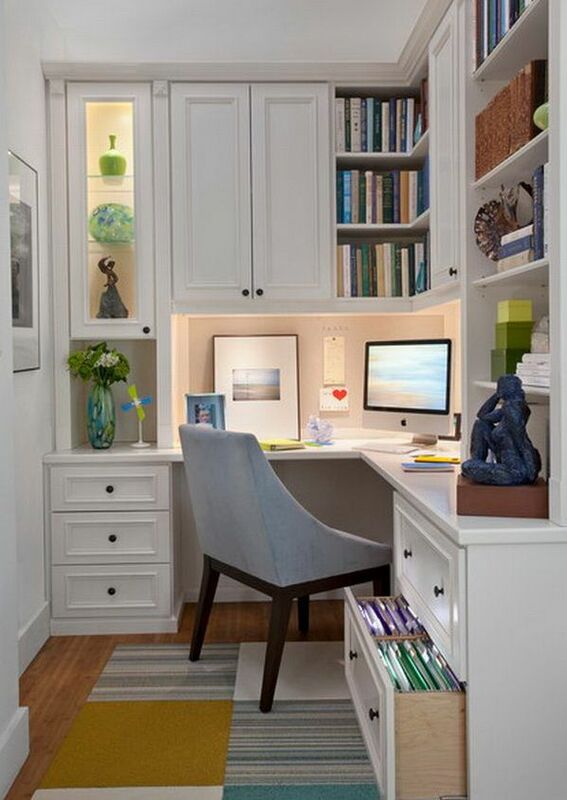 Look for features such as pull-out drawer or keyboard shelves, computer tower stands and under filing cabinets. Last but not least, make sure you get an adjustable chair that is comfortable and has a footrest. Your back will thank you for it.